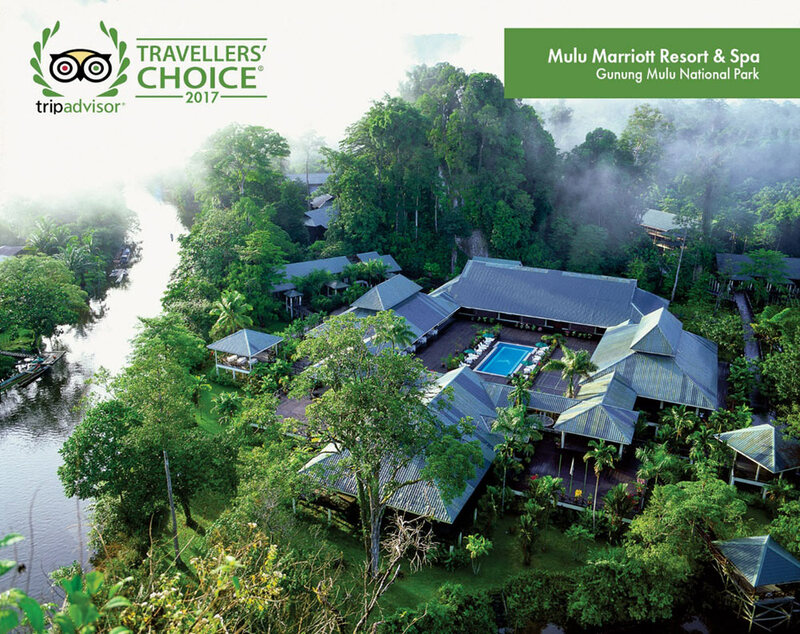 Mulu Marriott Resort & Spa once again is listed as a TripAdvisor’s 2017 Travellers’ Choice Award. Mulu Marriott Resort & Spa also received a Certificate of Excellence from TripAdvisor in 2016, an award given to properties that consistently achieve outstanding traveller reviews on TripAdvisor. This year, less than one per cent of all accommodations listed in TripAdvisor have received the Traveller’s Choice Awards, based on millions of reviews and opinions from travellers across the globe. Image shows aerial view of Mulu Marriott Resort & Spa.